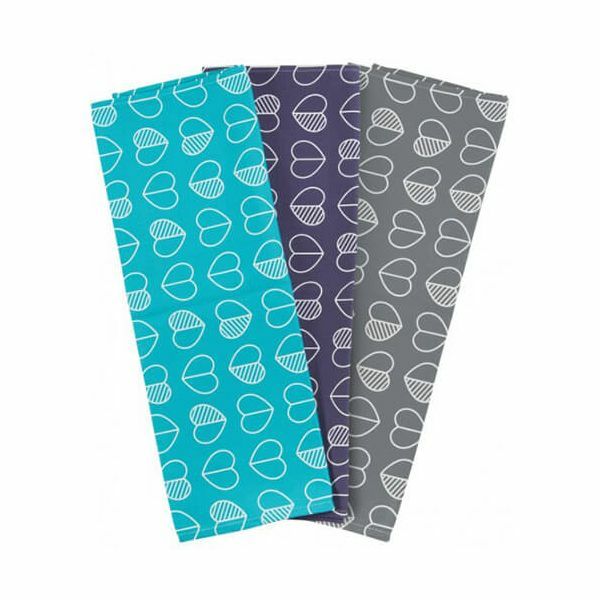 This pack of three tea towels are made from high quality cotton twill and coloured in the confetti blue, teal and slate colours to match the range. Ideal for use in the kitchen for drying and cooking tasks. This pack of tea towels in the Beau & Elliot Confetti design match other items in the range.